This Garden was established 2 years ago, on a friend’s grandmother’s vacant land. The first year got a late start, but it as been really fun to learn just by doing this. Many of the kids in the neighborhood have been involved in making beds, cleaning up, and planting. We’re hoping to get more older folks involved; that has been a challenge so far. We’ve grown peppers, eggplant, tomatoes, brassicas, chard, and peas. This year the groundhog did a number on the early spring crops – we’ll have to drastically improve the fence for next year. 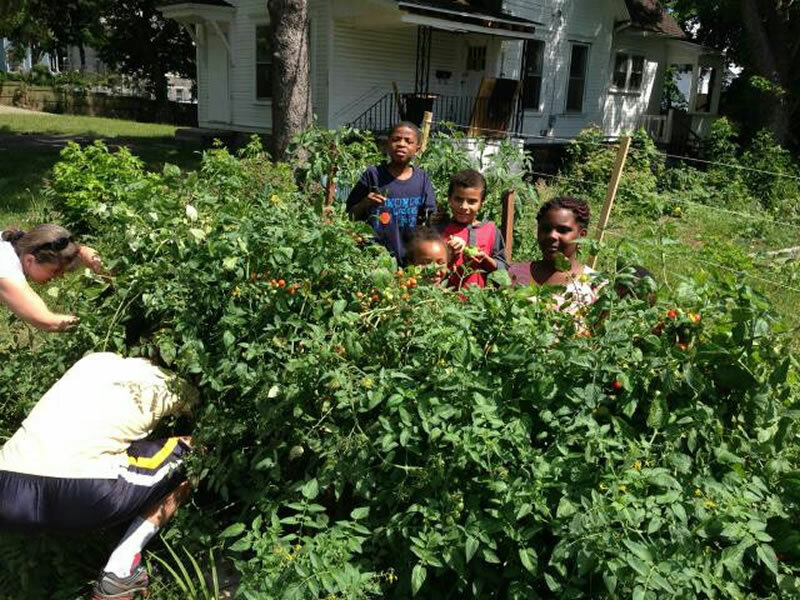 We’re looking to have this garden grow more, and get more folks involved. Please contact Dan Katz at dankatz11@gmail.com or 781-752-8390 to find out more about getting involved at this garden.